Take advantage of HUGE SAVINGS with our equipment package deals. 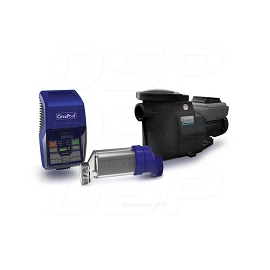 This package comes with the RJ-45 PLUS saltwater chlorinator, SmartFlo® ultra-efficient variable speed pump, Triple300 cartridge filter, and TJ-16 Typhoon pre-filter. The TJ-16 Typhoon pre-filter from CircuPool is the ultimate time-saver. Using your existing pump and filter, the Typhoon turns your ordinary equipment into a sophisticated two-stage filtration system that delivers sparkling clear pool water and all but eliminates filter cleanings. With no moving parts to wear out and no electrical components, the Typhoon literally spins the dust and dirt out of your pool water. 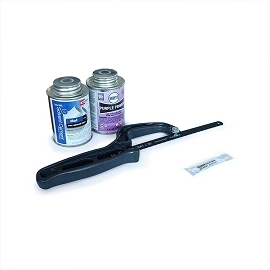 Installation is an easy, ten minute do-it-yourself project for most homeowners. The Typhoon mounts on top of your pump so it fits right in to any equipment pad and, the threaded couplings ensure free-flow operation on all pools. 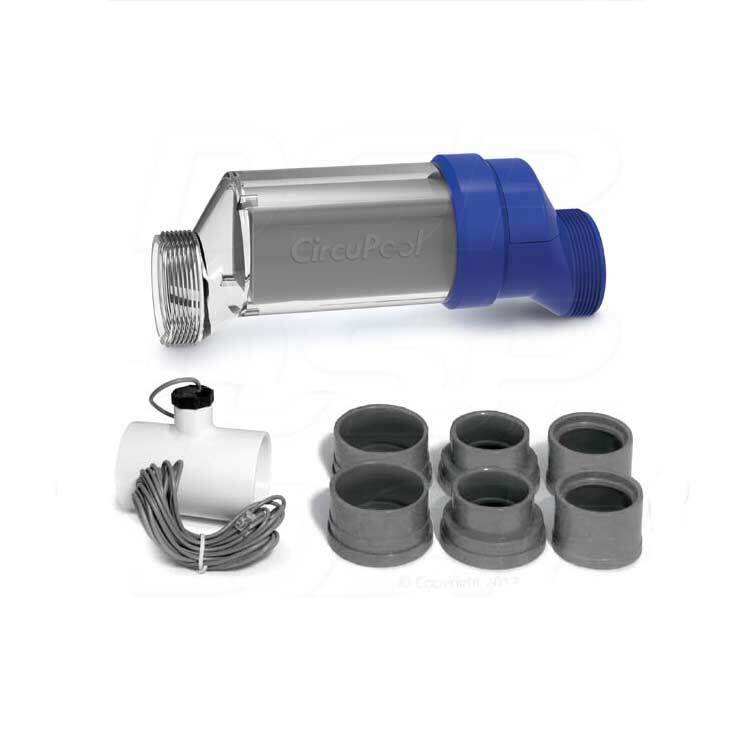 The CircuPool CJ-180 Cartridge Filter is compact, dependable, and convenient, providing 180 sq ft of filtration surface area. 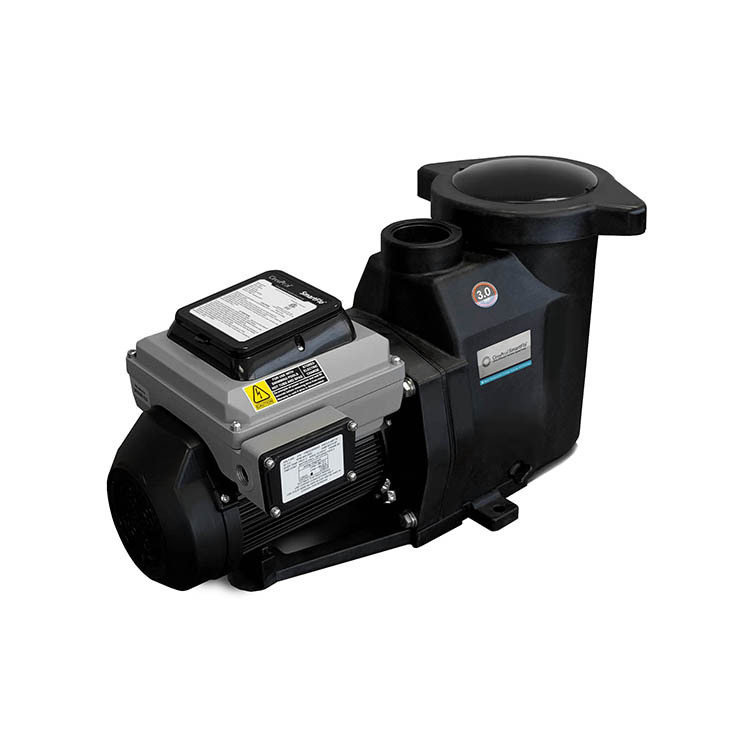 When teamed up with the TJ-16 Typhoon Pre-Filter, the CJ-180 will handle pools up to will handle up to 42,000 gallons. With only a 9 waist, the CJ-180 fits easily in tight spaces. Best of all, sparkling, crystal-clear water is virtually guaranteed. 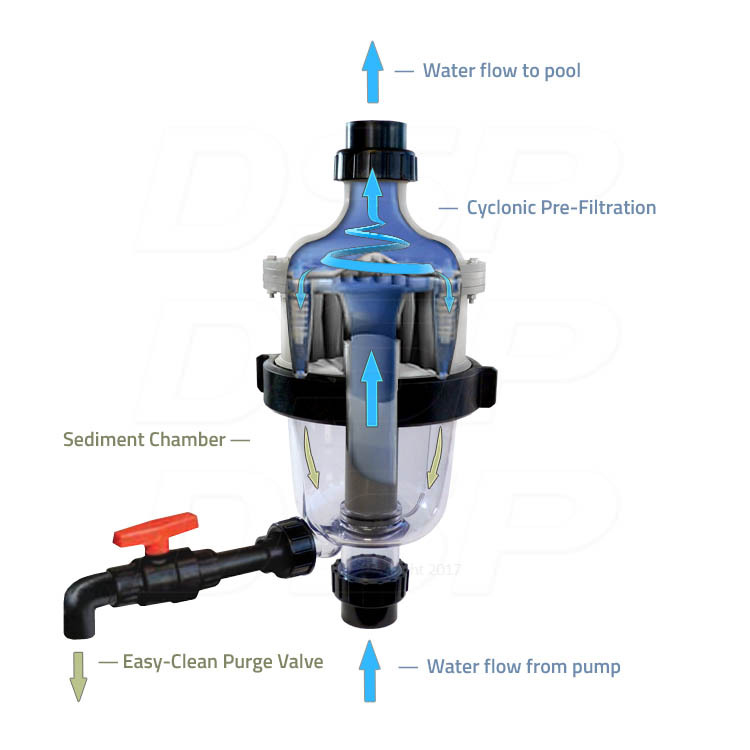 The Speck Aquaswim Triple300 Cartridge Filter is compact, dependable, and convenient, providing 300 sq ft of filtration surface area. 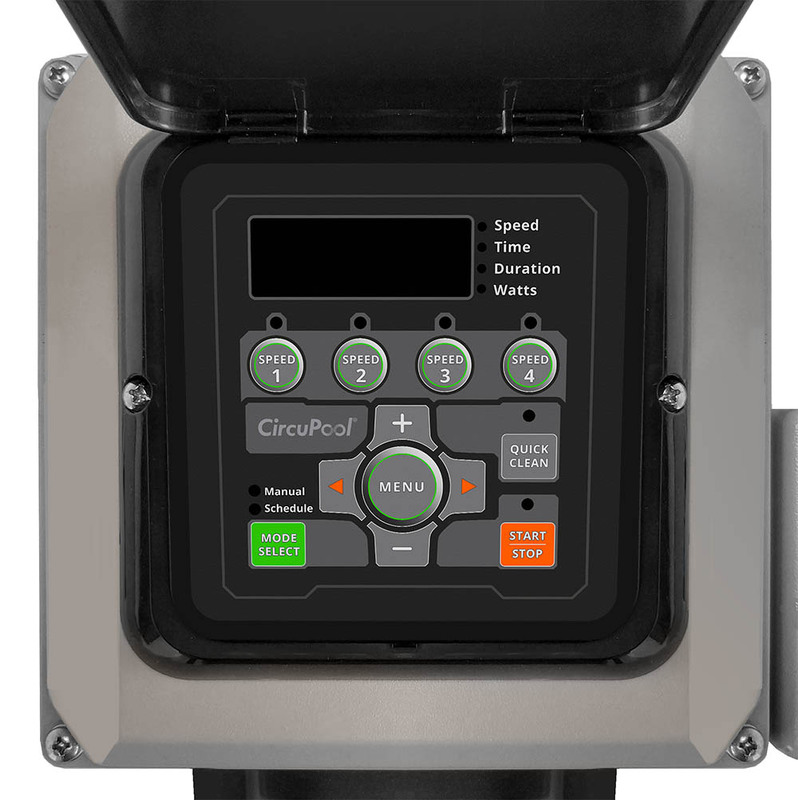 When teamed up with the CircuPool TJ-16 Typhoon Pre-Filter, it will handle up to 56,000 gallons. With a small footprint, the Triple300 fits easily in tight spaces. If you want this size package for the extra power, but have less gallons in your pool and need less filtration, you can utilize the less expensive CJ-150. 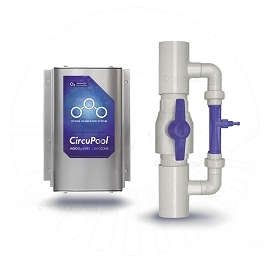 The CircuPool CJ-150 Cartridge Filter is compact, dependable, and convenient, providing 150 sq ft of filtration surface area. 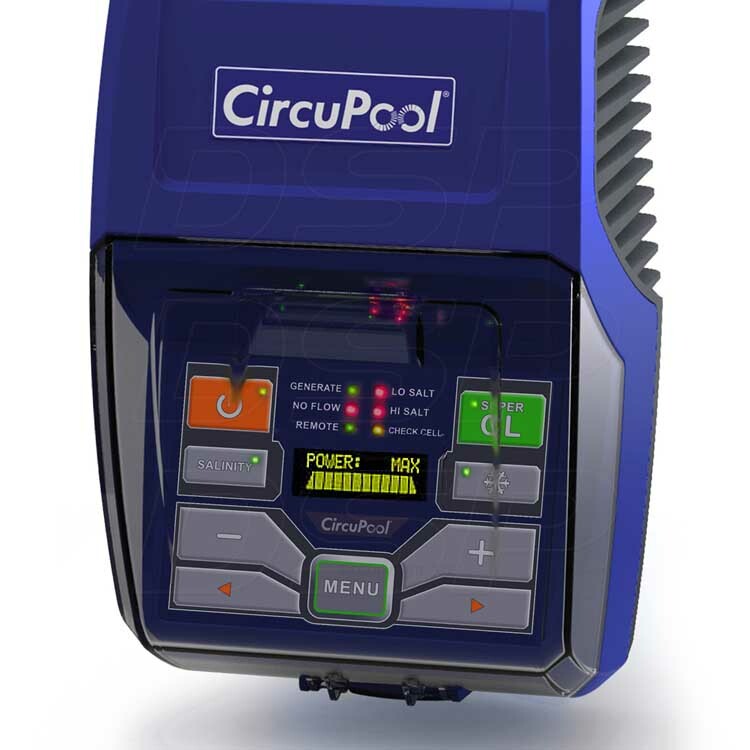 When teamed up with the TJ-16 Typhoon Pre-Filter, the CJ-150 will handle pools up to will handle up to 30,000 gallons. With only a 9 waist, the CJ-150 fits easily in tight spaces. We live in Florida five months a year and got tired of pool problems even though we have a pool service. Last month we tore out everything and replaced it with this and the pool has never looked better. My pool guy said he's impressed. Q: Can Heat Pumps be used with this system? A: Yes, absolutely. 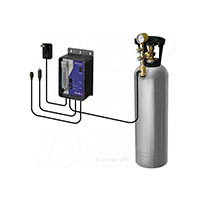 All of the equipment in this package can work with any type of pool heater or heat pump. 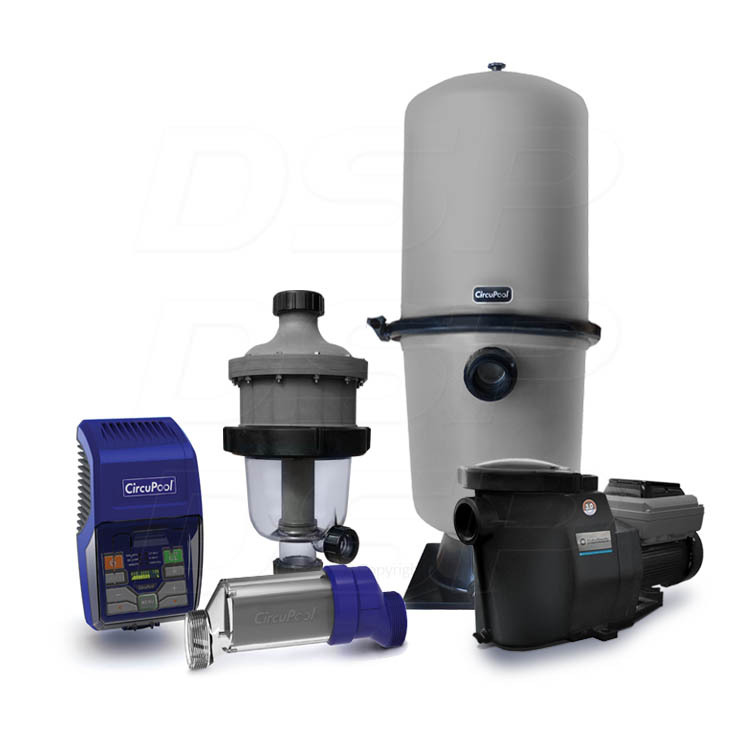 Captures up to 80% of dirt and debris before it ever reaches the main filter. Brilliantly simple to clean, takes only a moment! No filter media to clean, recharge, or replace. 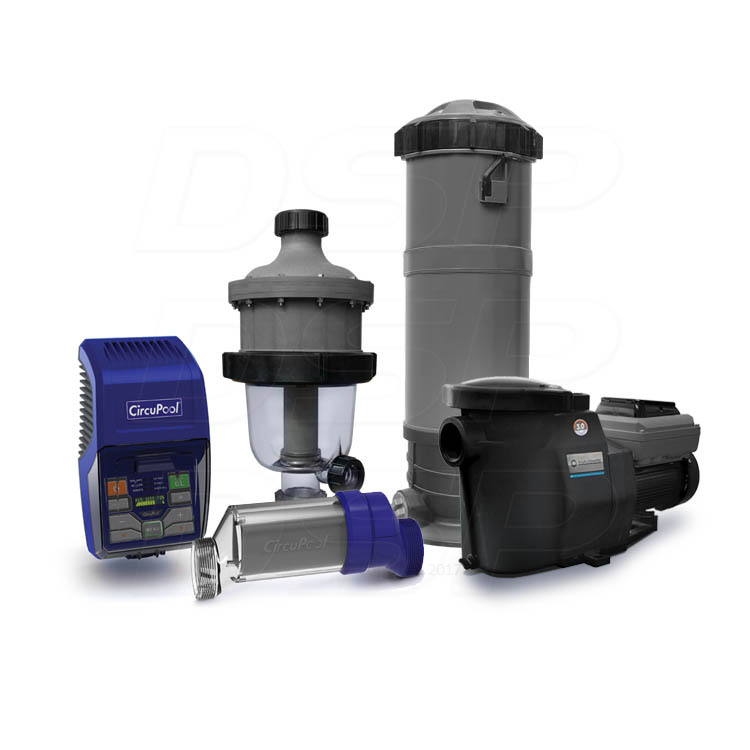 Drastically reduces maintenance, minimizes backwash frequency or cartridge replacement on main filter. Improves water circulation, hydraulically efficient design. Corrosion and UV proof, glass-filled reinforced thermoplastic construction. Clear poly-carbonate sediment chamber. No moving parts, no wear-and-tear. Suitable for new and existing installations. 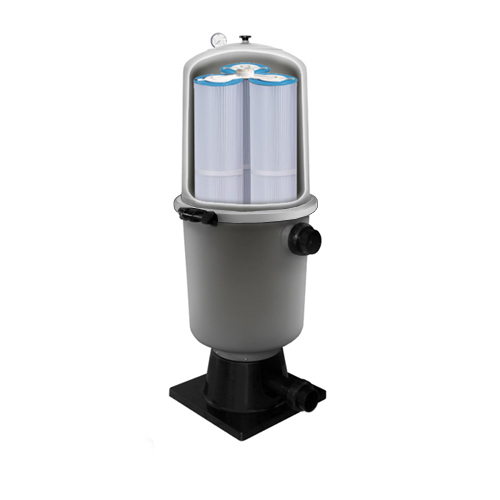 RJ-Series Salt Chlorinator: Manufacturer 7 Year Limited Warranty. SmartFlo® Variable Speed Pump: Manufacturer 3 Year Limited Warranty - 3 Year Pump Body / 1 Year Motor. CJ-Series Filter: Manufacturer 1 Year Warranty. TJ-Series Pre-filter: Manufacturer 2 Year Warranty. Most manufacturer chlorine generator warranties are pro-rated. All warranties offered are provided by the relative manufacturer and are limited to the terms and proration they provide. See manufacturer's documentation for a full description of warranty terms and conditions.